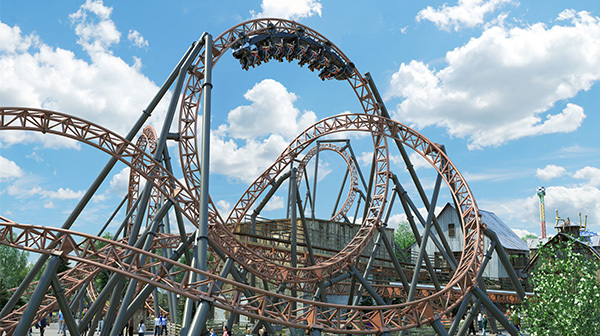 It’s twice the bite on Copperhead Strike! 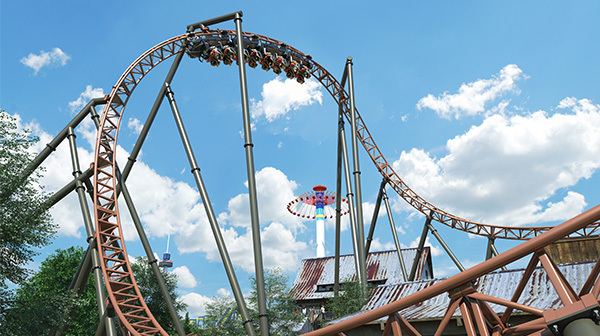 Here’s an up-close first look at all of the twists, turns and record-breaking statistics delivered by the Carolina’s first double launch coaster. Riders board Copperhead Strike in three 16 passenger trains. 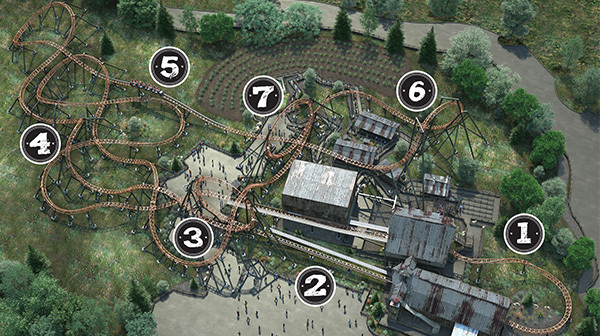 Immediately out of the station, this coaster slowly twists through a jojo roll before entering the launch station – the home of Granny Byrd’s “jam”-making operation. After pausing and discovering that there might be more going on at Granny’s farm than meets the eye, the ride launches from 0 to 42 MPH in just 2.5 seconds! With a burst of speed, riders soar through the ride’s first 360-degree loop. 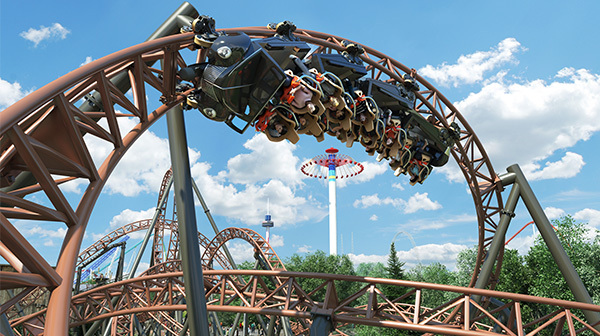 Next, Copperhead Strike takes riders through a series of fast, tight, close-to-the-ground maneuvers, including a corkscrew. 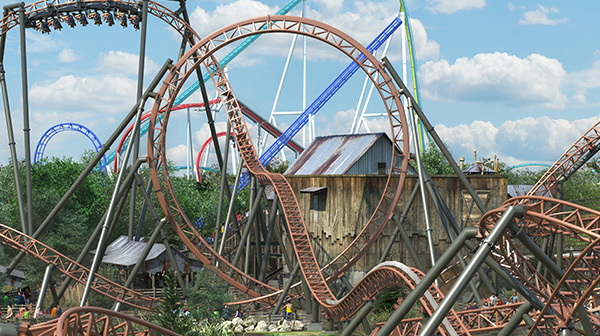 Fun Fact: Copperhead Strike has 5 inversions - more than any other double launch coaster in North America! At this point in the ride, the speed of the train is moving at 35 MPH, but this exhilarating coaster isn’t done yet! 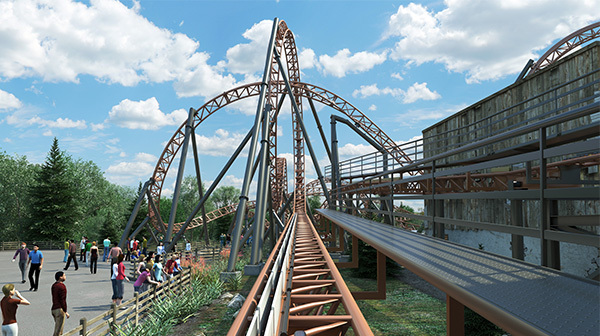 Without slowing down, Copperhead Strike enters its second launch, accelerating riders to 50 MPH in just two seconds. With a fresh burst of speed and adrenaline, riders reach for the sky once more while moving through a large inverted top hat. 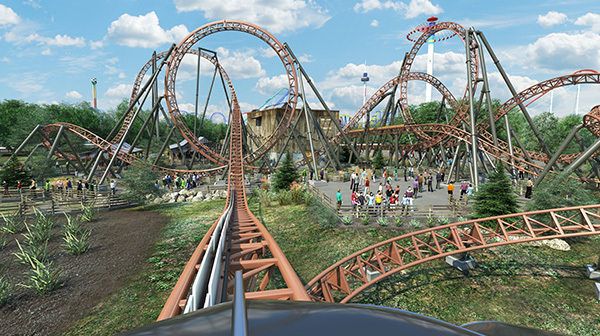 This coaster is full throttle all the way, completing a second 360-degree vertical loop before riders head back to the station. 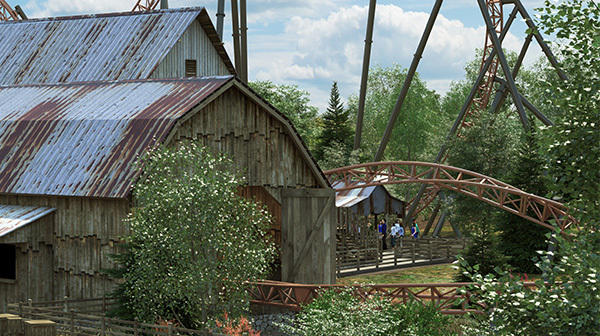 Copperhead Strike does not let up during its 2 minute and 24 second ride along 3,255 feet of steel. Riders will return to the station breathless, wondering which way is up and ready for another ride across Granny Byrd's farm!